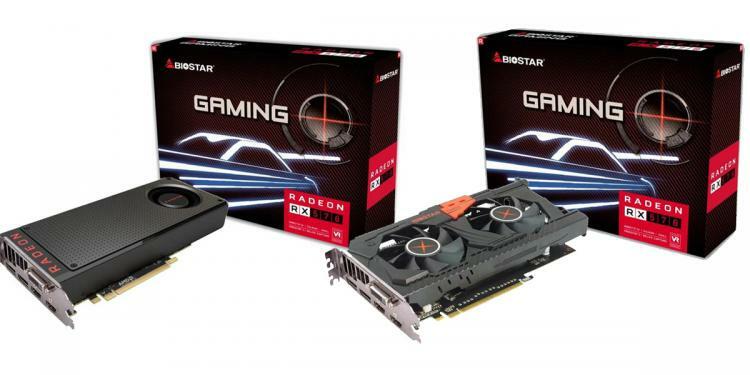 BIOSTAR announces its own line up of the Radeon RX 500 series including variants for the RX 580, RX 570 and RX 550 graphics cards. The BIOSTAR Radeon RX 500 series are exclusive in the Asia and China region. The new series offer improved gaming performance versus the R9 300 and RX 400 series with improved support for DX 12 and Vulkan API technologies. 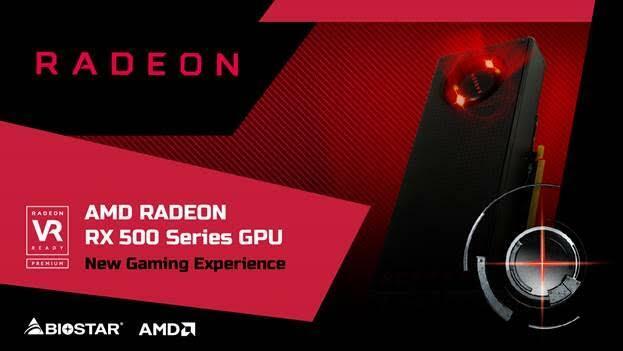 The new Radeon RX 500 series also feature AMD’s new technologies such as Radeon Chill and Radeon’s capture and streaming app Radeon ReLive. 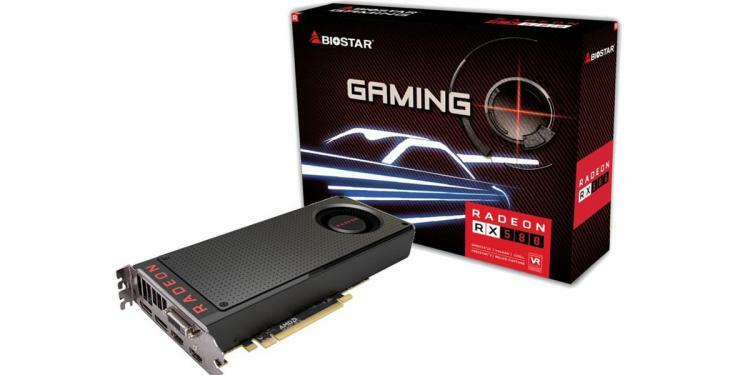 The BIOSTAR Radeon RX 580 uses a reference design which has a blower-type cooler that pushes out hot air at the rear of the graphics card and outside the system’s interior. The current available model packs 8GB of GDDR5 memory with boost clocks of 1340MHz. It supports Radeon FreeSync technology, Direct X12 and Vulkan API optimized. The card has output for DVI, HDMI and three DisplayPorts supporting up to three displays. There are two models available, one with reference cooler design and the other using a dual fan cooler design – the BIOSTAR RX570 Avenger Version. The two RX 570 models have the same specifications, packing 4GB of GDDR5 memory with boost clocks of 1244MHz. Both models require a single 6-pin PCIe power connector. These are designed to be the entry-level discrete graphics solution from Radeon which offers 4X more graphics performance compared to the competitor integrated graphics solution. The RX 550 cards has a boost clock of 1183MHz and are available in 2GB and 4GB memory. Visit the BIOSTAR website for more information on their Radeon RX 580 and Radeon RX 570 series graphics cards.